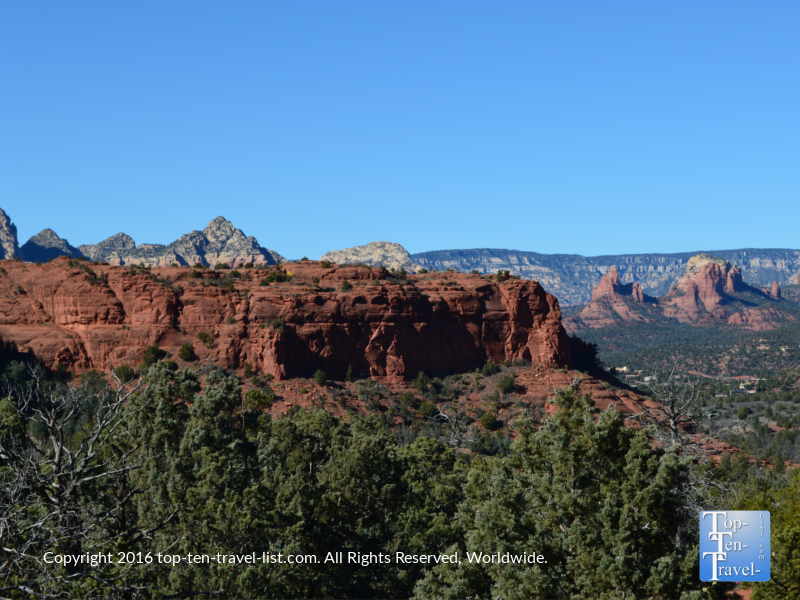 Sedona's Broken Arrow Trail: The Scenic Journey to Chicken Point - Top Ten Travel Blog | Our experiences traveling throughout the US. 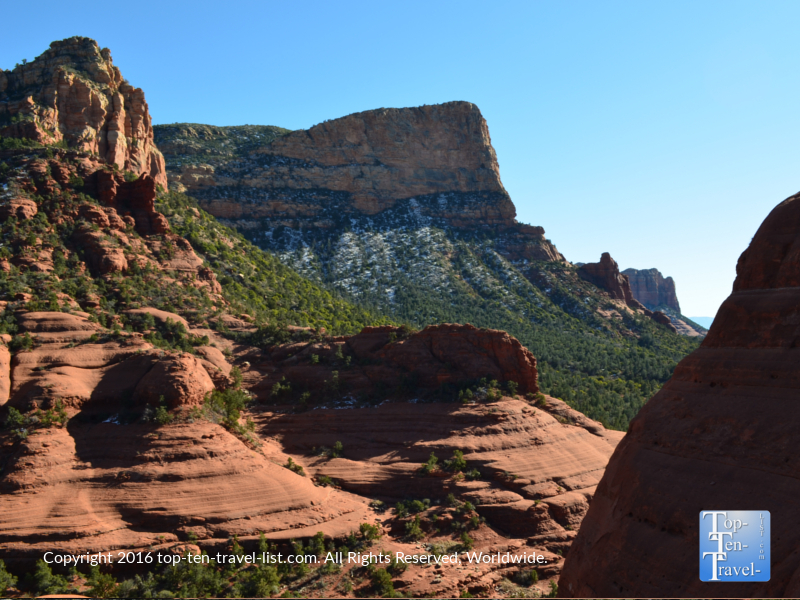 Broken Arrow, one of the easiest and most popular hikes in Sedona, offers some incredible red rock scenery. 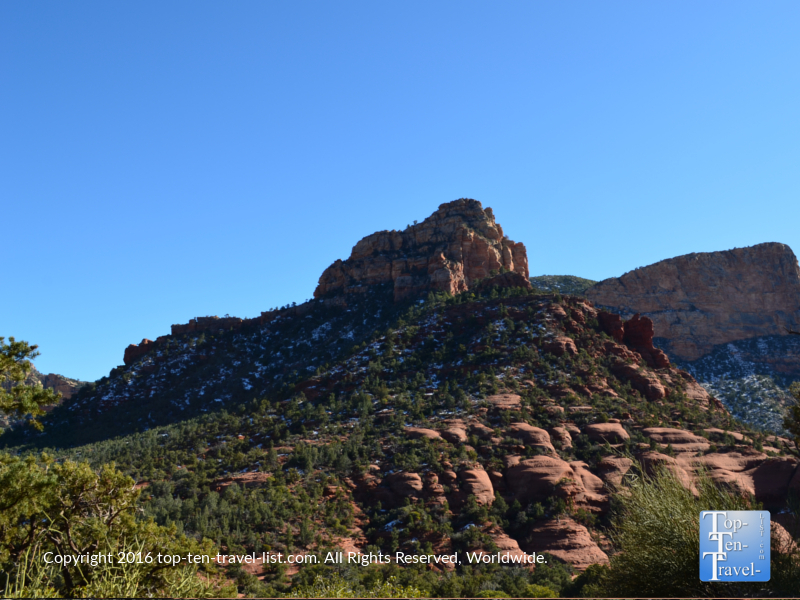 While the ending vista at Chicken Point is a fantastic place to soak in the tremendous red rock views, the journey itself (1.7 miles out and back) is quite a beautiful, and surprisingly quiet, experience. 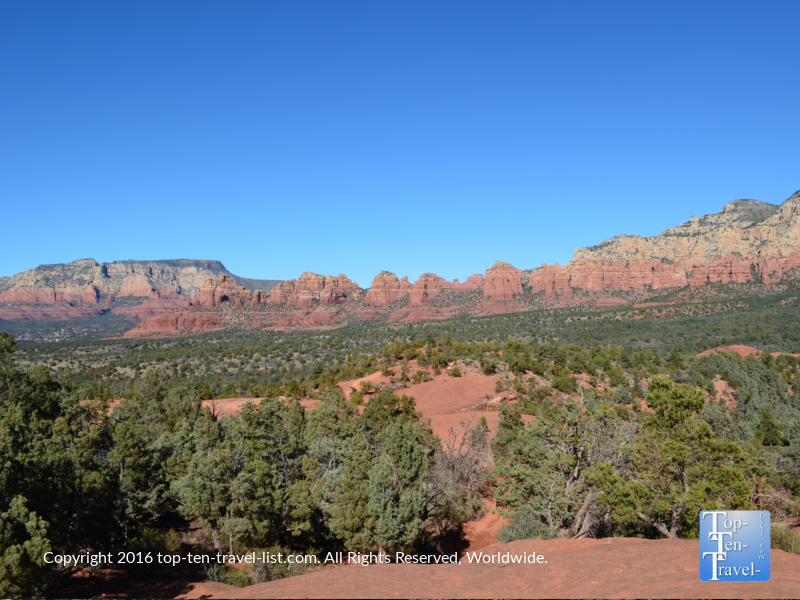 Broken Arrow is one of the best beginner trails in Sedona. 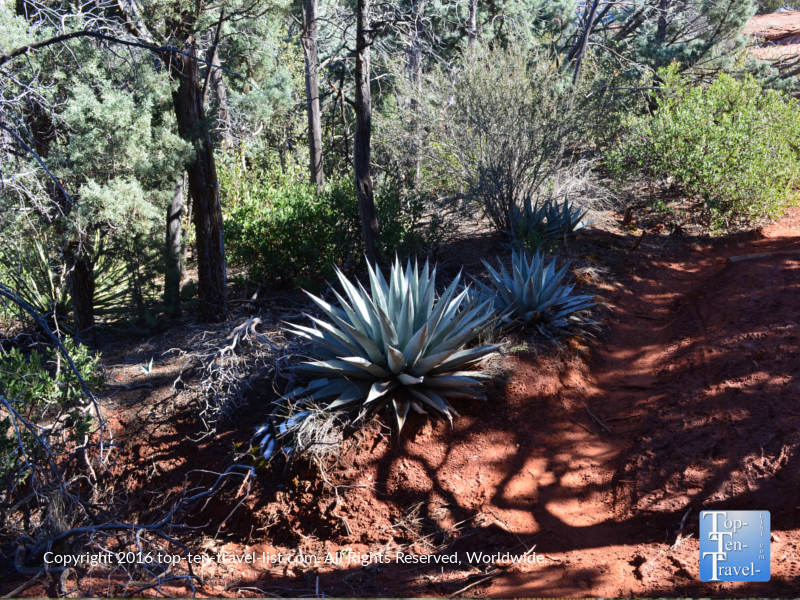 There are few steep sections and the trail is nicely maintained and very easy to follow. 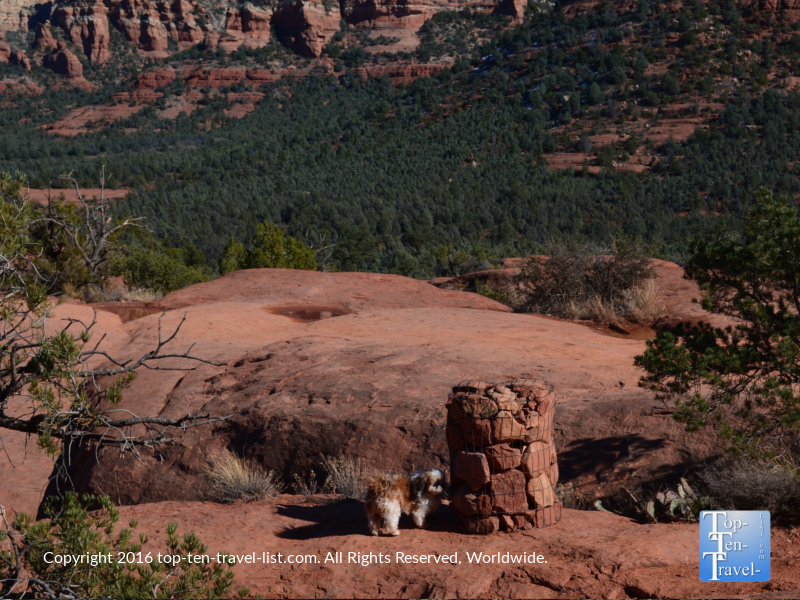 If you do get confused at any point, just follow the cairns (pictured below). 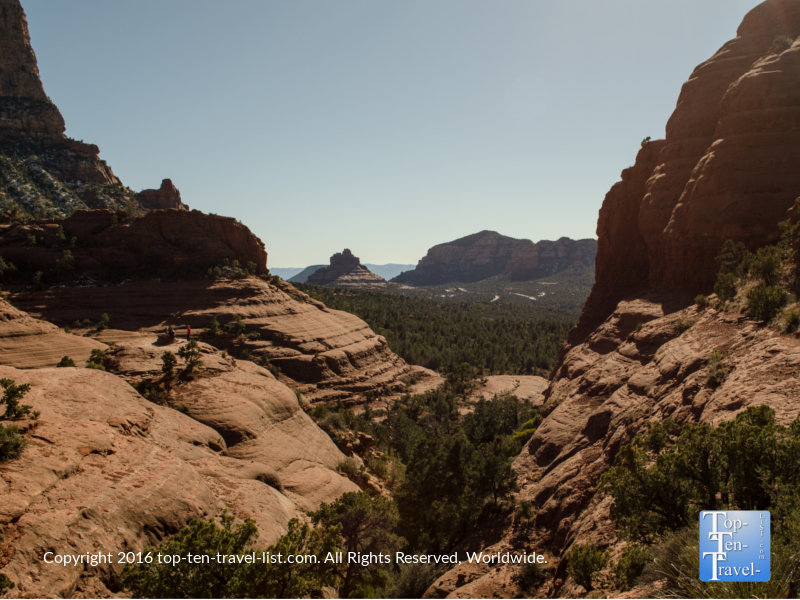 The route is almost completely flat with barely any tall trees, enabling you to enjoy wide open views of the gorgeous red rock formations. 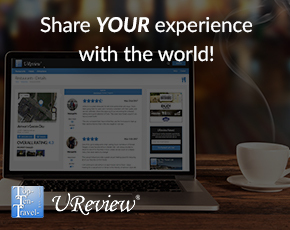 You will find many scenic overlooks along the way to get that perfect photo. 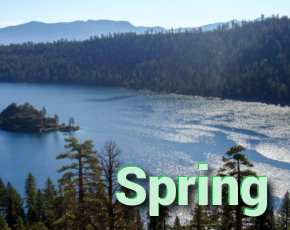 There are only a few shady sections, so this trail is more suited for a winter visit. If your visit falls after a major storm, you may even see a bit of rare snow capping the rocks! A nice extra treat if you ask me! 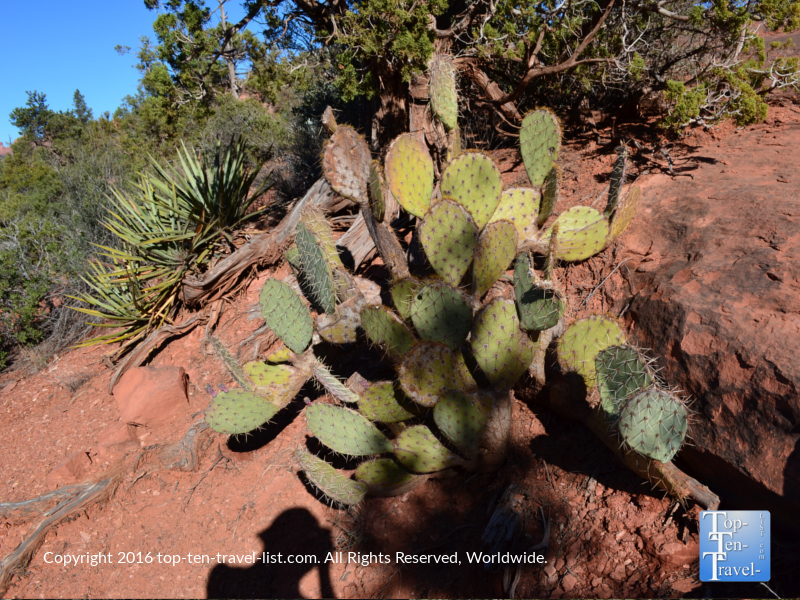 In terms of plant life, we saw a few prickly pear cacti and some yucca plants, most of which looked a bit dried out. 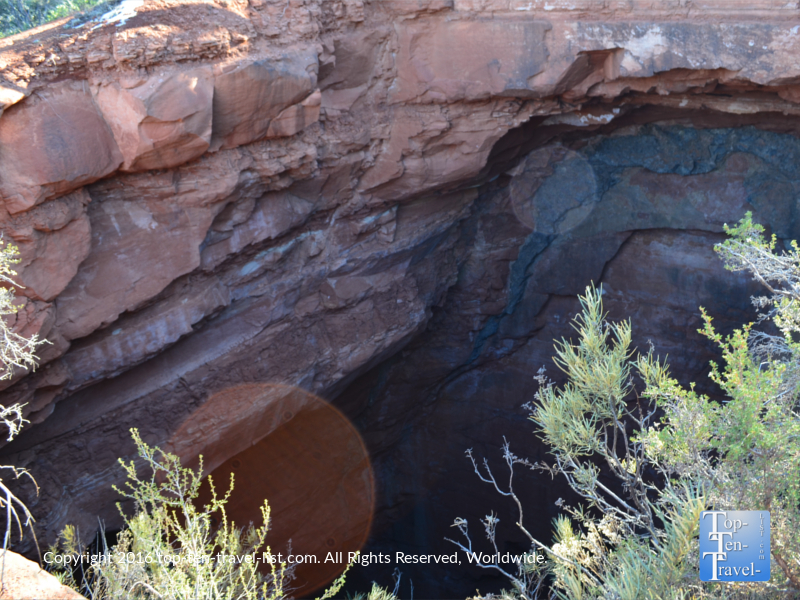 Devil’s Dining Room is a 90 foot deep sinkhole located about a half mile in. For safety reasons, a fence has been placed around it. Not the best for photos, unfortunately, but still worthy of a quick look before continuing on. 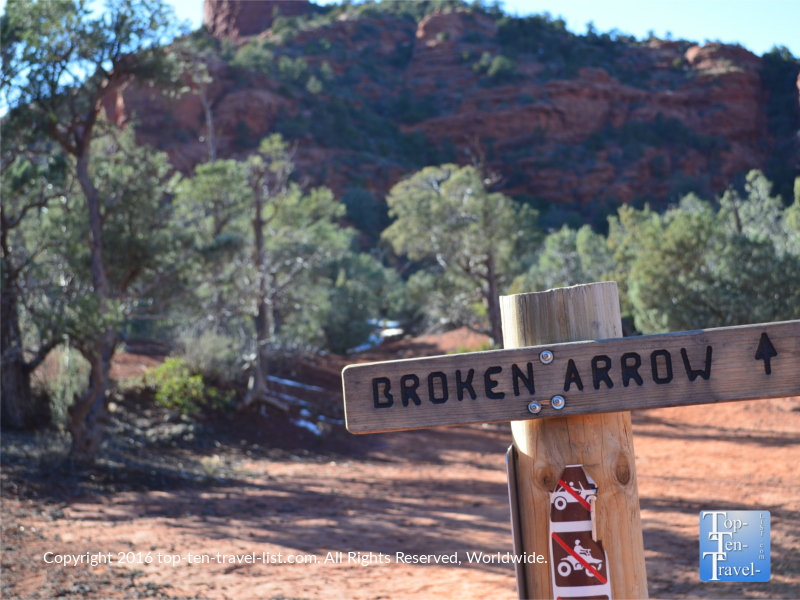 Broken Arrow is one of the top trails for new Sedona visitors to check out, as well as anyone else looking for a casual workout with endless views of the unique red rock formations. Despite the busy, cramped parking lot, this trail is pretty quiet overall and definitely makes for a wonderful escape into nature for a few hours. 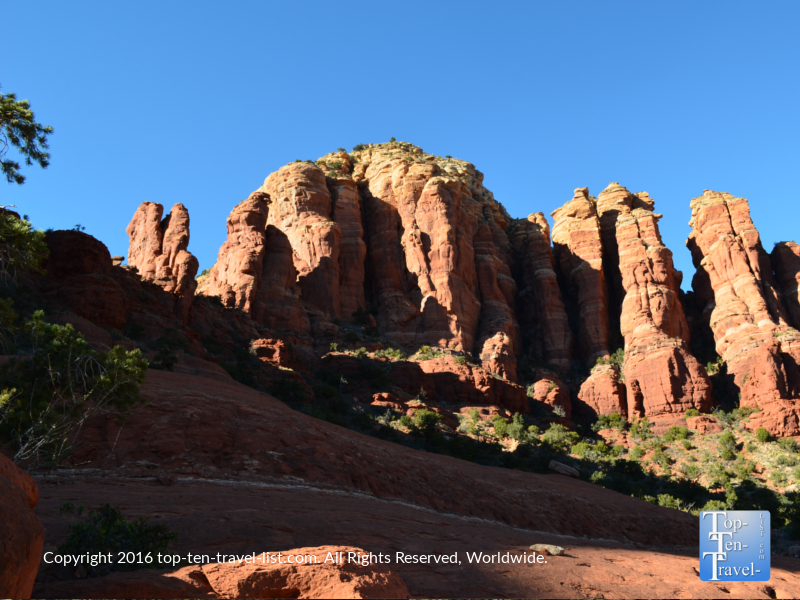 In short, when planning your Sedona vacation itinerary, be sure to plan a few hours for this extraordinary trail! 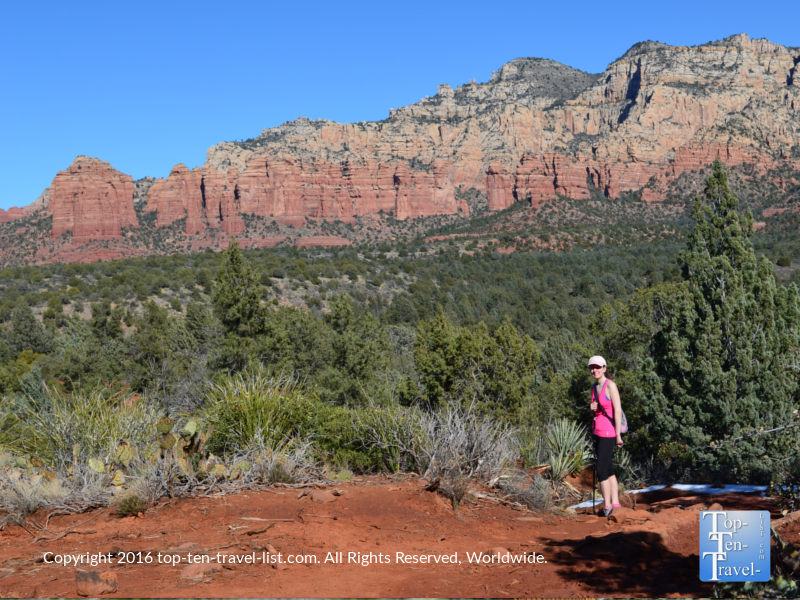 Although a very popular Pink Jeep tour runs parallel to the hiking trail (and ultimately reaches the same view at Chicken Point), I recommend saving the $100 and completing the hike yourself. Nothing is as rewarding as spending time in nature and reaching the summit with your own 2 feet! Plus you can stroll at your own leisure, taking as many photos as you want, and possibly make the decision to continue on further up for an even more spectacular view. 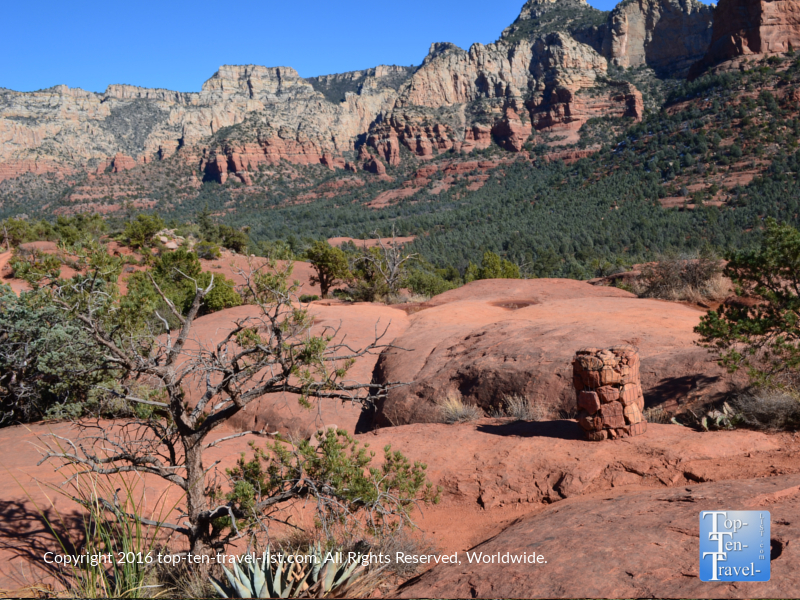 Note: Be aware that there are no restrooms or water at the trail-head. Fortunately, there is no parking fee, however, the lot is very small so arrive as early as possible to guarantee a spot or you might be waiting for a while!